The Lochness Monster. The Abominable Snowman. UFOs. 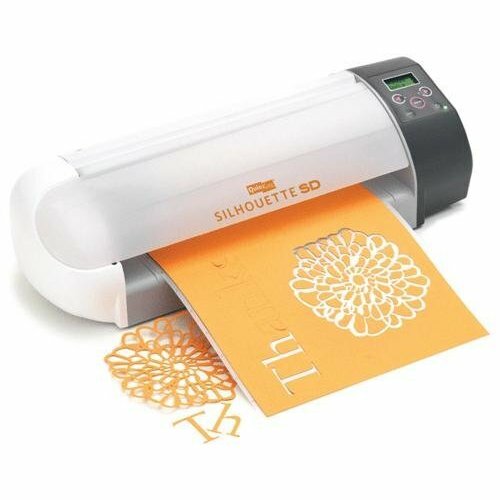 Personal cutting machines like the Cricut or Silhouette. Some people believe those things exist, but I cannot verify. I’ve heard tales of these “personal cutting machines” – space-agey, Jetson’s-era gadgets which actually cut your designs out for you without the use of primitive stone-age tools like scissors, but I can’t be sure if they’re real, because I don’t personally own one. So when I decided to make banners for a baby shower and for Weston’s birthday party, I had to actually construct them the old-fashioned way, and here’s how that went down. You’ll need circles for this, and since cricuts don’t exist, I recommend the ol’ flip-the-paper-over-and-trace-a-bowl technique. My circles are about 6 1/2 inches wide. Cut out your circle. This very helpful photo demonstrates what it looks like to cut out a circle. You’re welcome. Now, using an ancient device called a “hole puncher,” cut out two holes somewhere along the top, roughly at 10 and 2. It doesn’t have to be precise. Continue cutting out circles until you have one for each letter. Stack up all your circles and, using the first as a template, punch holes in them all. Now for the letters. For Annabelle’s banner, I wanted the letters to be all white, so I used Photoshop to print each letter in light gray backwards, then cut it out and flipped it over so there was no visible outline. This font is called minya nouvelle, and each letter is about 4 inches tall. For Weston’s banner, all-white letters wouldn’t have stood out enough on some of the lighter-colored circles, so I printed them out with a black outline. If you don’t have Photoshop to make your letters, you could just use Microsoft Word for this step. While you’re there, you should consider rocking some pretty radical Word Art, circa 1995. Given the chance to create Word Art in 1995, this is definitely what my 5th-grade self would have created. Did anyone else have a SuperCrush on Jonathan Taylor Thomas? Come on. Once you have all your letters cut out, lay out your circles to see which order looks best. I tried to alternate light with dark colors, and busy with simple patterns. Then, glue your letters onto the circles. I used a glue stick, but you could use whatever newfangled contraptions you might have on hand. I wanted something a little rustic for Weston’s banner, so I used twine to string them together, but white curling ribbon worked great for Annabelle’s banner too. Just thread it through. It’s not rocket science, like cutting machines are. String ’em all up and hang ’em. I stuck thumbtacks in the underside of my mantel, and tied the twine to those. Step back and admire your handiwork. Finally, find ways to drop subtle hints to the world that any stray personal cutting machines which needed a good home would be very welcome and could live a happy life here in this house. Have you ever had to make do without the fanciest of tools? Or check out the project gallery right here! THANK YOU!!!! I have to admit, I get a little angst-y with all the super fancy tutorials using super fancy (and expensive) tools. A lot of folks just don't have over $200 (on sale!) to drop all at once. So, bravo! Great tutorial! Really cute! I give you kudos for finding the time to hand make your own banners. I've looked at those machines and think the price its just crazy! We’ve had the same block letters on a colored paper (5 1/2 x 8 1/2) for about 10 years. I was just looking at them for the big birthday coming our way Friday and they are just plain worn. So here we go! I LOVE your design and will very happily embrace it. I’m blessed with the 21st century gizmo, the Silhouette so my cutting will be a little quicker, but I’ll be right there, hole punch and string! Fantastic! Beautiful and fun for the 14 year old girlie! Thank you so much for this post! I get so frustrated when I see all these cricut tutorials and how they proclaim you can’t do any project without that dang thing. I must say that your writing style is refreshing. You’re a funny gal! On another note, I’ve been pinning you like crazy on Pinterest. Love all your ideas and I’m so happy to have found your blog. Keep up the great work! this is adorable! I have a quick question though….how do you prevent the letters from sliding onto one another?? This may be dumb, but my husband and I have been searching Word for 30 minutes for your Weston banner font! What is it?! I just searched mine too and I can’t figure it out! 🙂 Usually I go download free fonts when I’m doing stuff like this, and I must have deleted it since. Try dafont.com or http://www.1001freefonts.com/. Sorry I can’t help more! Thank you so much for the tutorial but most of all the laugh! 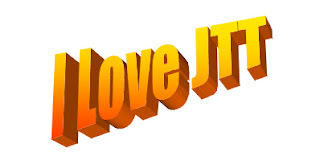 I loved Word Art and JTT! Where is he now? Maybe Oprah knows. Quick question do u find the circles slide onto each other at all? Or do they sit on the string ok? Love it all! And, you totally made me laugh this fine evening! Very cute! You have a lot of patience to do it by hand! I hesitated a lot about getting a Silhouette – I really wanted one, but didn’t think I would get enough use out of it to justify the cost. I’m definitely not in the group of people who have money to throw around at things. What I ended up doing – when they came out with the Cameo, a lot of people who did have extra money all had to have the latest and greatest, and were selling their older versions. I ended up getting a Silhouette SD for $100 – came with everything, including a new blade. I know that’s still not super cheap, but a few years later it still works great and I feel like I’ve gotten my money’s worth, even without being super crafty and using it all the time. Hi, super cute banners! I was wondering if you ever found out the font you used for Weston’s banner? I love it and I’m trying to find it for a project. Let me know, thanks! Love this!! What size did you use for your letters? You are hilarious! I loved this post. I recently received a cricut but have yet to learn how to use it so I will continue to craft old-school style. Love the humor! And thank you so much for showing how you made your banner. I too, don’t have a fancy cutting machine. I make things. You have good tips. ???? thanks a lot for the helpfull article. author is a very creative person. As for me, when my daugther had a birthday, I printed a large posters and banners on my printer. It’s something like a many pices of papers. It’s looked very great. Besides, I did it thanks to RonyaSoft Poster Printer. Easy to use.